At the Juneau Fire Station downtown on Dec. 24, Assistant Chief Tod Chambers politely agreed to show and tell. Chambers said the station was minimally staffed; two people for the fire engine, two for an ambulance. “So if we were staffed to meet the national standards, we could get by with two on the ambulance, we’d have four on the truck, four on the engine,” Chambers said. That’s 10 people – and Juneau can’t afford that. Chambers said at a lot of stations face this issue. 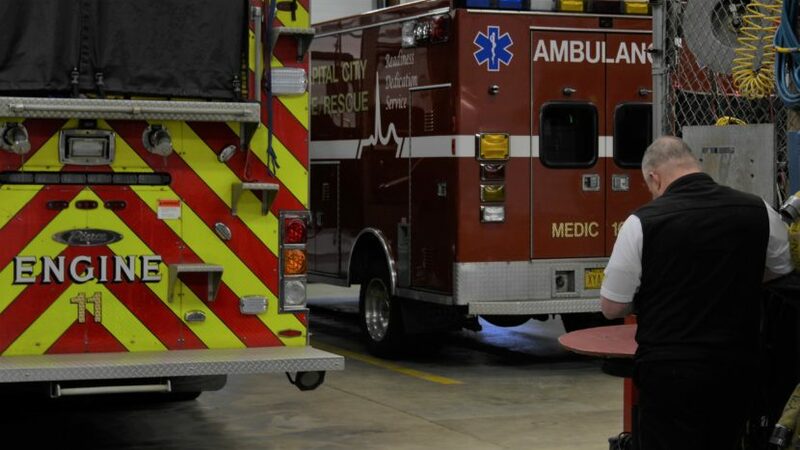 The real problem is Capital City Fire/Rescue has seen modest growth in emergency calls for years and 2016’s increase ballooned to almost 12 percent. By the new year, CCFR officials expect to have responded to about 500 more calls than last year. The additional calls are pressing CCFR to its limits. “Emergency medical incidents, structural fires, fire alarms; some of the stuff we’ve seen go up, go down, but overall we’re up and that’s a dramatic increase,” Chambers said. Most of that increase came from medical calls, but Chambers doesn’t know what’s driving it. 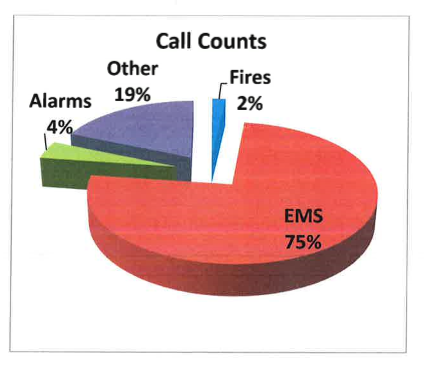 Fire alarms are one of the areas the department saw a significant decrease in. Chambers used to work in Fairbanks and he said when his department was overburdened, they’d ask for help from neighboring communities. But that won’t work in Juneau because of its isolating geography. Volunteer firefighters help, but Chambers said there aren’t enough people who can give the time. That means Juneau’s firefighters just have to grit their teeth and get stretched thin, sometimes too thin. Chambers said stacked calls are one of the downtown station’s biggest problems. Juggling the station’s resources in situations like that is Chambers’ job. He said they try to put the most serious calls first. Stacked calls on top of a structure fire are Chambers’ nightmare. The department responded to 30 structure fires this year. That’s not a lot, but Chambers said when a building lights up, the department needs all hands on deck to handle it safely. If a medical call comes in during a fire, it could get dicey. “We’ve dodged some bullets there, absolutely, and been fortunate we didn’t have multiple calls stacking up on top of a fire. It happens though and it’s not good,” Chambers said. Chambers is fully aware that the community pays CCFR to serve them. “We take that very seriously, but we simply are running out of resources to do it,” Chambers said. Fire Chief Rich Etheridge said he needs to put one additional ambulance in play to fight the increase. He has the ambulance. To run it every day, he needs six more firefighters. “So you’re looking at $600,000 just in staffing,” Etheridge said. But it’s hard for the City and Borough of Juneau to come up with that money. Etheridge said CCFR has an $8 million budget. He’s working with the state to get more federal money into Alaska to cover medical costs fire departments can’t recover from patients. Etheridge said that would make it a lot easier to pay for more staff. He said the department will have its annual report for 2016 finished soon. He hopes to find the reason for the higher call volume in it.